If an unfortunate auto accident has left you in pain, and you live in or visit Turlock, we can help you. At Turlock Family Chiropractic we understand what you’re going through. We make it our goal to relieve your pain as quickly as possible. We work with all auto accident injuries and attorneys. Liens are accepted. We are the go-to auto accident chiropractors in all of Turlock, CA and have helped many individuals recover from auto accident related injuries. 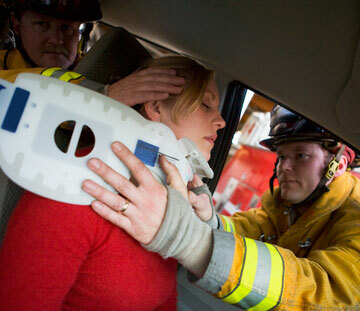 You need a doctor who is skilled in providing the necessary care and diagnosis of auto accident injuries. Usually hospitals will check vital signs, make sure there are no life-threatening conditions and release the patient with pain relief medication. The ER treats life threatening issues, broken bones, head or internal organ injuries. Whiplash is the pulling, stretching and tearing of soft tissues such as muscle, ligaments, tendons, discs, etc that benefits greatly from chiropractic and rehab care to help patients heal better to avoid long term or chronic problems. Hopspitals and ER do not normally provide healthcare for the underlying injuries that can often lead to future pain. Thus after your hospital visit you need to make an immediate appointment with a chiropractor like Dr. Greg Jones.